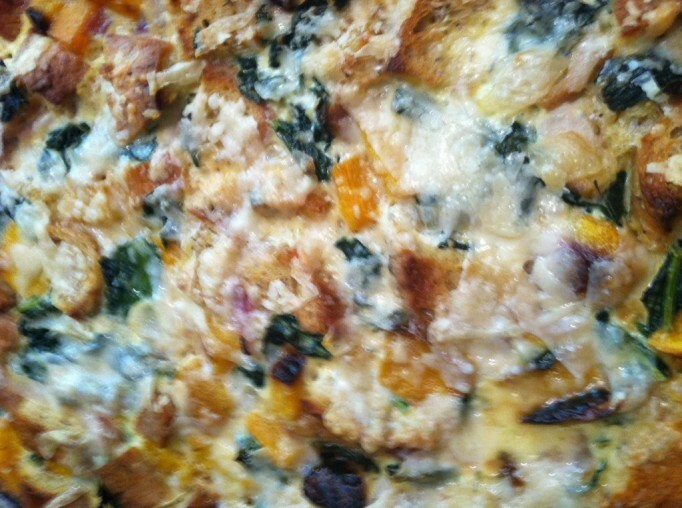 For last weekends Sunday Brunch I decided to try my hand at making a Strata. The great thing about making a Strata is that you can do most of the work the day before and just wait to bake it the day of. And when you are hosting a party you know there will be enough to do the day of, so anything you can do to lighten the load is great! I found this awesome recipe from Food & Wine. 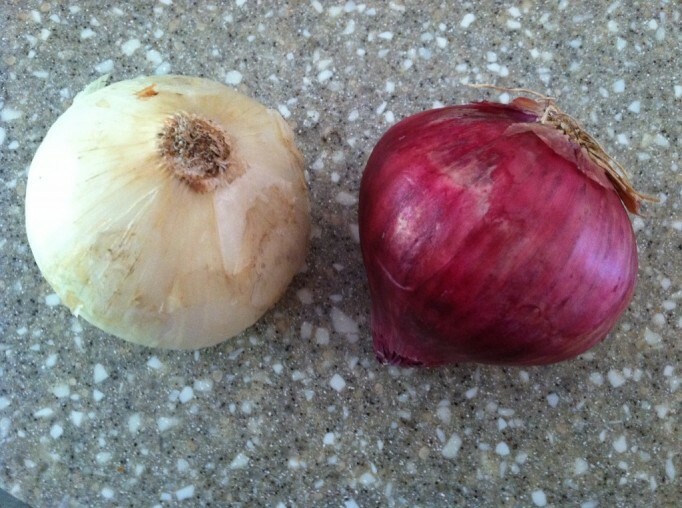 one white & one red onion. Preheat the oven to 425° and butter a 9-by-13-inch baking dish. On a rimmed baking sheet, toss the squash with 2 tablespoons of the olive oil and season with salt and pepper. Bake for about 25 minutes, tossing once, until the squash is just tender. Reduce the oven temperature to 325°. Meanwhile, in a large skillet, heat 2 tablespoons of the oil. Add the sliced onions, season with salt and cook over moderately low heat, stirring occasionally, until golden, about 25 minutes. Scrape the onions into a bowl. In the same skillet, heat the remaining 1 tablespoon of olive oil until shimmering. 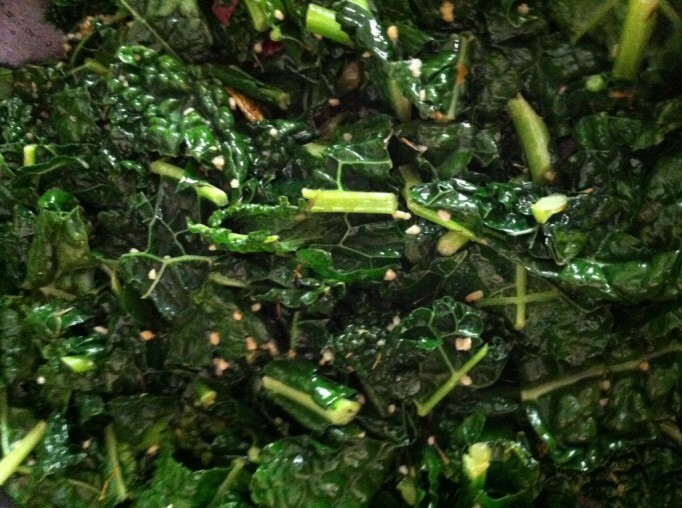 Add the kale, garlic, crushed red pepper and 1 teaspoon of the thyme and season with salt. Cook over moderately high heat, tossing, until the kale is wilted and just tender, about 5 minutes. Scrape the kale into the bowl with the cooked onions. In a medium saucepan, melt the 2 1/2 tablespoons of butter. Add the chopped onion and the remaining 1 teaspoon of thyme and cook over moderately low heat, stirring, until softened, 5 minutes. Add the flour and cook over moderate heat, whisking constantly, until a light golden paste forms, 3 minutes. Whisk in 1 cup of the milk and cook, whisking, until very thick and no floury taste remains, 8 to 10 minutes. 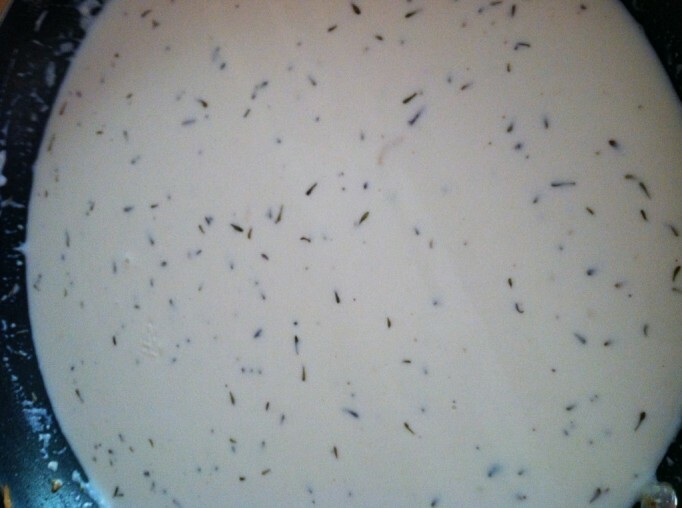 Remove from the heat and whisk in the cream, crème fraîche, sugar, 2 teaspoons of salt, 1/2 teaspoon of pepper and the remaining 1 1/2 cups of milk. Let the béchamel cool. Beat the eggs into the cooled béchamel in the saucepan. Pour into a bowl, add the bread and the vegetables and mix well. 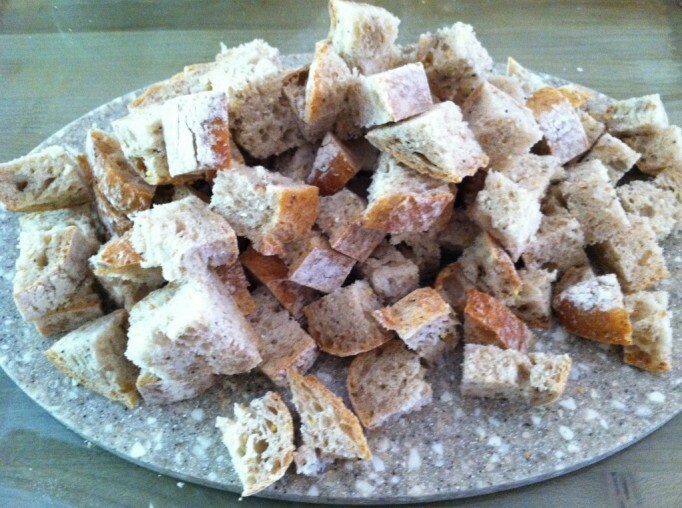 Pour the strata mixture into the prepared baking dish and let stand for 30 minutes, pressing down the bread occasionally. Bake the strata for 55 minutes to 1 hour, until almost set. Increase the oven temperature to 475°. 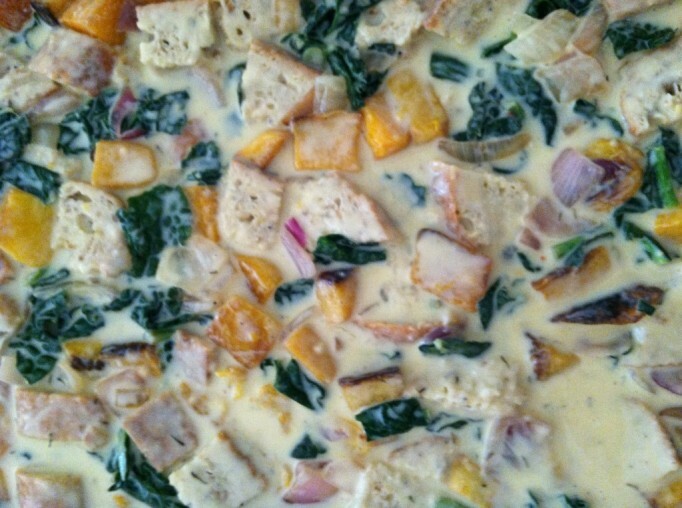 Sprinkle the Parmigiano on the strata and bake for about 10 minutes more, until the top is lightly browned. Let the strata stand for 15 minutes before serving. Multigrain baguette cut into 1-inch pieces. MAKE AHEAD The recipe can be prepared through Step 5 and refrigerated overnight. After beating the eggs into the béchamel and mixing with the bread and vegetables. For my first time trying it out I think it turned out really well and very delicious!! I would highly recommend trying this recipe some time. « Weekend Highlight: Eat, Drink, Repeat!